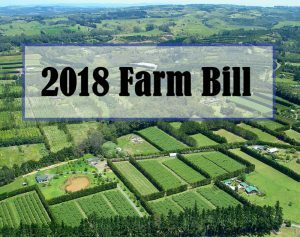 House Agriculture Committee Chairman Mike Conaway remains determined to finish the farm bill this year. During an event in Omaha, Nebraska, Conaway told DTN “there’s plenty of motivation for the four of us to get this farm bill done,” referring to the four leaders of the farm bill conference committee. Conaway says farm bill negotiators are still working through issues with commodity and conservation programs, along with other titles of the bill. Conaway acknowledged that farmers are well familiar with the history of delays with the farm bill, but added stressors, such as low commodity prices and trade issues, are driving anxiety. Add to that, a rising suicide rate among farmers, Conaway says “I feel really badly about that, saying lawmakers “should have gotten that off their backs,” referring to the anxiety farmers are facing. Conaway says that issue alone helps fuel the drive to finish the farm bill. Conaway notes Peterson also has said he does not want to carry the farm bill into 2019 even if the House flips in the midterm elections.